Top talent leave when they are disengaged and there is a high cost for losing them. “People leave managers, not companies”. Talent loss is directly linked to leadership. Top talent will stay if they feel challenged, nurtured and rewarded. According to the Willis Towers Watson 2016 Global Talent Management and Rewards Survey, 74% of Singapore employers struggle to attract top performers, and 56% have difficulty retaining their top performing talent. Gallup reports that "In our recent work with organizations across various industries, we discovered something really interesting and somewhat unsettling: Highly talented employees who are not engaged were among those who had the highest turnover in each organization— on par with low talent, disengaged employees”. Top talent have the highest impact on business performance, but losing and replacing them brings on high costs and losses as well. Studies show that the cost to replace staff can range from 13% to over 200% of staff's annual salary, increasing with job skill and seniority. These costs, coupled with hiring costs, training costs, and opportunity costs, have a negative impact on bottom line. “People leave managers, not companies” is an often-repeated saying. There is some truth to that. Leaders play a major role in employee engagement, in turn affecting staff retention. “Top performers tend to take great pride in their work, put a mark of excellence on what they do and go the extra mile. Managers who become accustomed to this level of work from a stellar performer can sometimes forget to express gratitude and recognise the individual on a regular basis. 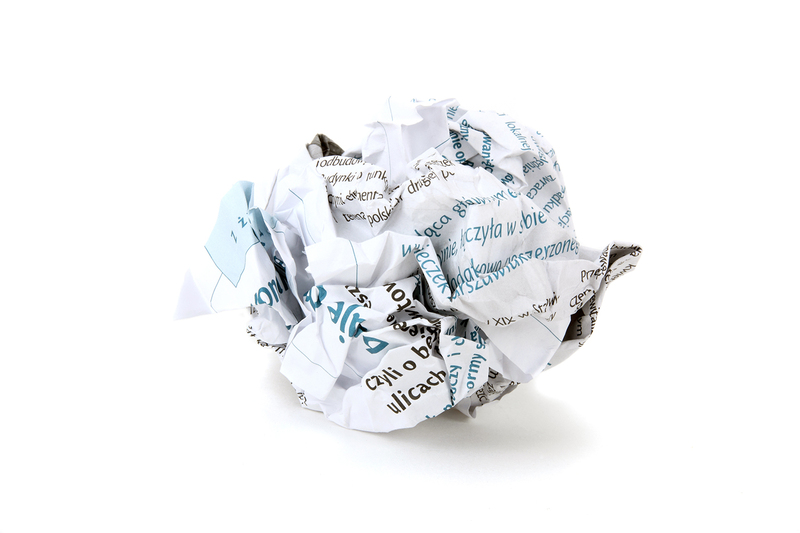 Often times, the only feedback great performers receive outside an annual performance review is when they make a mistake. This makes them feel unappreciated and not valued”, SelectOne concludes, in Three Strategies to Retain Top Talent. In Six Simple Reasons Your Top Performers Quit, Bonusly points out the need for top performers to feel valued. They are far more productive than their peers, and failing to acknowledge this differentiation will turn top performers away. "Recognition needs to be frequent, tied to specific actions, and culturally aligned in order to be meaningful”, Bonusly says. Being micro-managed is something high performers are unable to tolerate. They want to feel “a sense of ownership and autonomy over the work that they do”, this Bonusly article shares. Top performers are self-motivated, and they look for feedback to fuel their growth and improve their performance. “While no one really craves negative feedback, your star performers want to know what they can do differently or better — and they definitely appreciate positive feedback”, Bonusly shares, and suggests “providing more frequent and spontaneous feedback”. 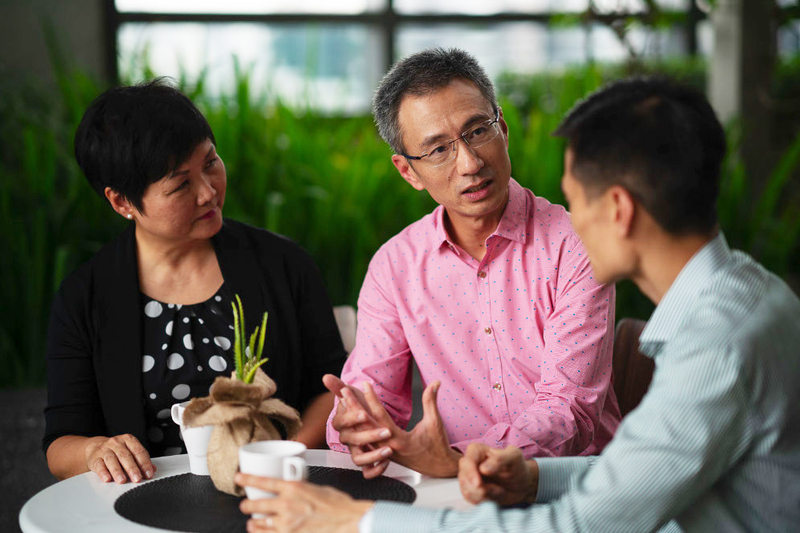 The Willis Towers Watson 2016 Global Talent Management and Rewards Survey notes that “Despite the fact that supervision is one of the top engagement factors in Singapore, only 65% of employees said their immediate manager or supervisor treats them with respect, and even fewer said that they help employees with career planning and decisions (38%) or coach them to improve their performance (44%)”. With millennials quickly becoming the largest segment of the workforce, it is alarming that they are also reported to be the least engaged. The good news is that leaders can be equipped to increase engagement, especially among top talent. Top performers are engaged by leaders who acknowledge their value and provide coaching, mentoring, and valuable feedback to help them grow. Here are three ways you can nurture high performers for long-term growth and cultivate relational leaders in your organisation. Top performers need their leaders to see their potential and provide growth opportunities and challenges that match. In Top Ways to Retain Your Great Employees, The Balance recommends to “give them opportunities to try new things, sit on challenging and significant teams, don’t let them stagnate at their job positions”. “It may seem counterintuitive, but giving your top workers more difficult projects can actually help convince them to stay. High achievers thrive on a challenge and will often fly the coop when they feel like there’s nothing left for them to accomplish”, says News18. “High performers want to be challenged, provided with interesting work, and have the ability to make a difference”, Wolf Motivation says, in their piece called Retain Top Talent. The Balance stresses the importance of creating an environment where the “employee can feel free to offer ideas and provide feedback without fear of backlash”. “Be generous with praise and merit-based rewards”, Bonusly advises. 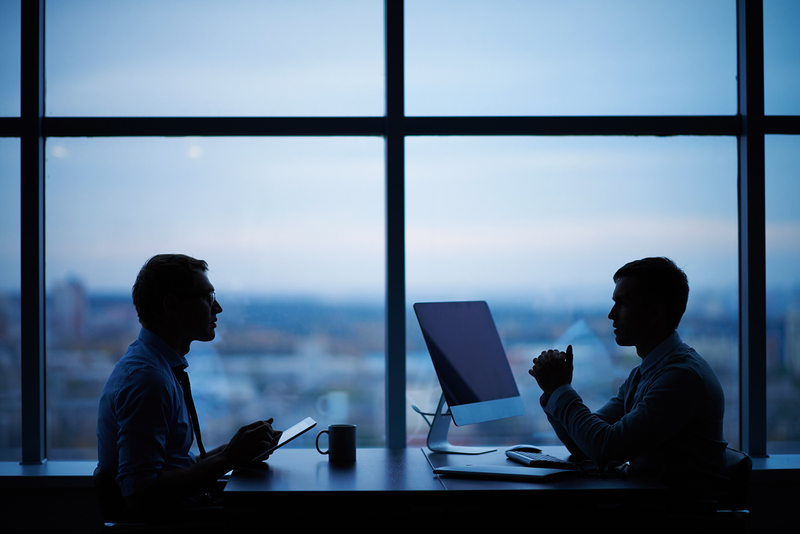 While top performers appreciate verbal encouragement and gratitude, a SAP x Oxford Economics survey (23 countries, total 2,872 employees, 40% high performers) reveals that high performers consider base pay the most important contributor to job satisfaction. Bonus pay is almost just as important. In any job, compensation matters. Top performers know their value and are not likely to accept being underpaid. When someone contributes greatly to the company’s success, it is only fair to ensure that they receive a compensation package that matches their potential. The high performer values being both nurtured and challenged. Relational leadership is an approach in which leaders are able to both challenge and care. In the above graph, the x axis represents a leader’s ability to Challenge Directly. The y axis represents a leader’s ability to Care Deeply. To care deeply without challenging directly results in crippling empathy. To challenge directly without caring deeply is blunt aggression. 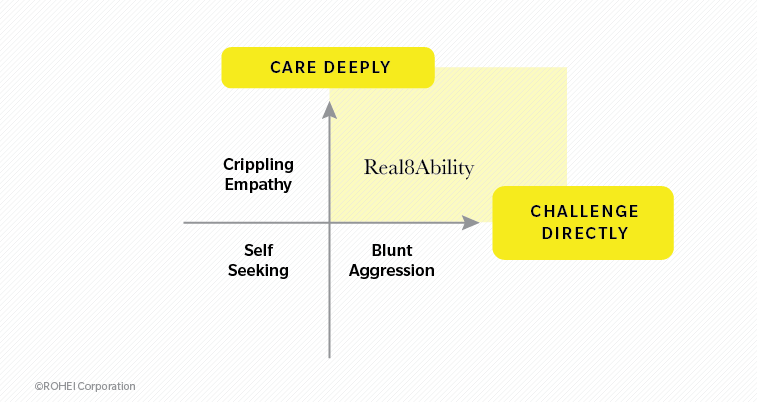 Being able to both challenge directly and care deeply is what Relational leadership looks like. Relational leadership is practised using the Real8Ability Factors: When a leader invests in building relationship with his team, he is able to see, hear, understand, care for, and appreciate each person’s situation. 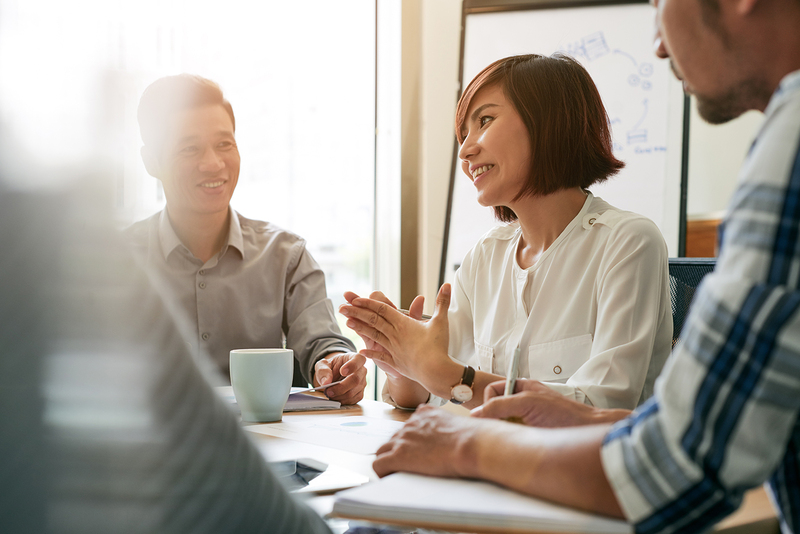 Communication and concern builds trust, preparing a safe place for the leader to challenge, encourage, and support the high performing employee. Relational leadership provides a practical way to harness the value of top talent as central to organisational health and sustainable business results. With relational leadership, your organisation becomes a place where top performers can see themselves growing and serving meaningfully in the long term.